“U-Paint” is a sensory learning game that aims to give children sensory experiences. Up to six children can have joyful learning experiences by mixing different colors on a canvas, expressing themselves, experimenting with ideas, interacting with each other and developing gross motor skills. In this air-painting game, children let their creativity flow by spreading colors around and drawing in with hands in response to music. U-Paint is a great way to let out feelings, relax and help reduce stress. The children can be represented as their own live images in the room or as avatars (stick-person-skeletons) within scenery of four different themes i.e. night, forest, valley, and beach. 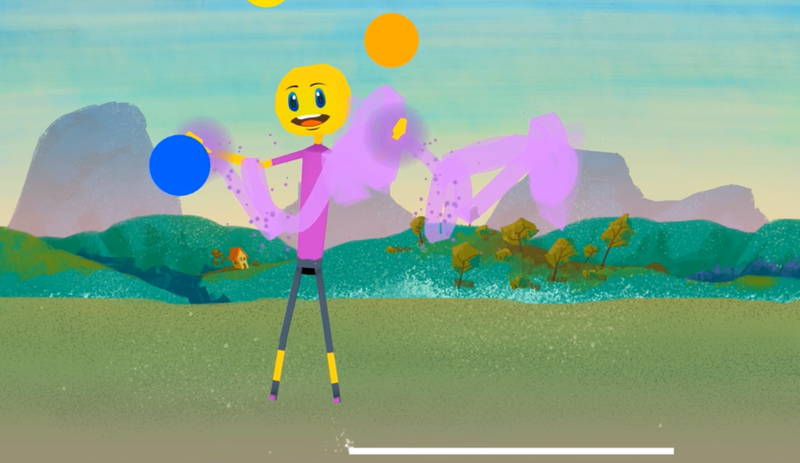 In case that the teacher chooses the avatar representation, children can make connection between the avatar and their own body and move in characteristic ways to control the avatar’s motions. This game improves learning experiences of students, expressing themselves, experimenting with ideas, interacting with each other and developing gross motor skills.